This summer, the Texas legislature conducted a rapid fire special session. With twenty topics on the call, only about half ended up making it to Governor Abbott’s desk and many were left lingering in committee.Farm&City stood with police departments, family members of victims of traffic violence, and other safety and health advocates to oppose an attempt to go backwards on Texas distracted driving laws, HB 171. And we won. The bill was left pending in the House Transportation Committee because it did not have enough votes to pass out of committee, following a passionate hearing (video). 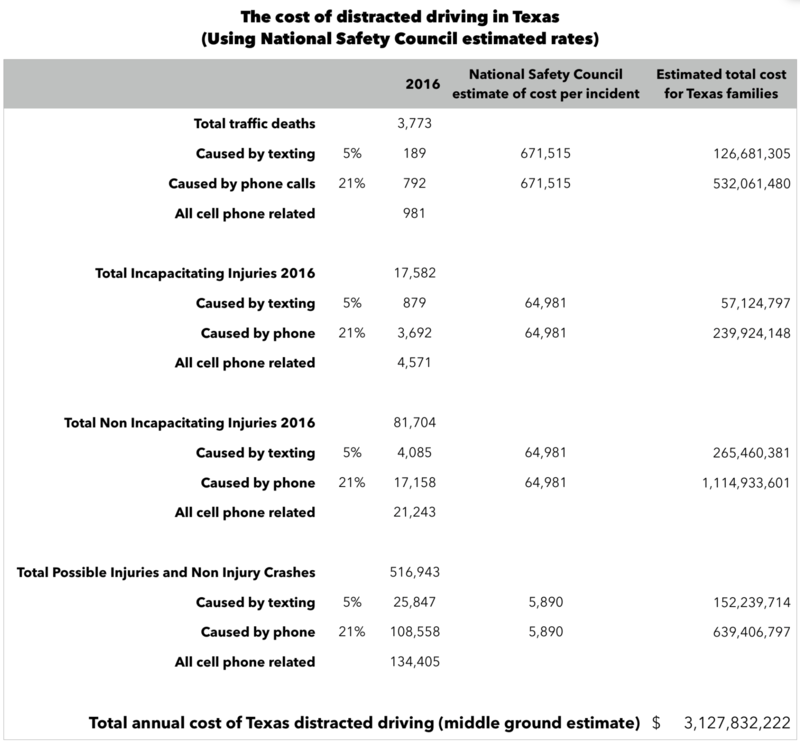 We prepared a mini report for the hearing to make sure that lawmakers understood the extent of the problem of distracted driving in Texas and the costs to Texas families. The estimated impact of distracted driving in Texas is between 2 and 3 billion dollars a year, with at least 455 deaths across the state attributable to distracted driving. As explained in the report, we believe the actual number of deaths caused by distracted driving in Texas is much higher. In 2019, the Texas legislature needs to take up smart, comprehensive statewide reform to end the scourge of distracted driving deaths in Texas. We look forward to assisting in finding the optimal way to do it.